At TadiBrothers, our wireless Front license plate camera is affordable without compromising construction quality or features. In addition to the friendly price, it is incredibly easy to install. Simply unscrew the existing screws on your license plate, push them through the camera's brackets, and screw the whole structure back in. This model is even wireless up to 70ft, making the installation even simpler. The wide 120° viewing range makes it possible to see everything behind you. You can also adjust the angle to optimize the viewing to fit your vehicle. Once the sun goes down, just use the military-grade night vision to see any obstacles in your way. The color CCD (High Definition) picture provides impeccable picture quality, and the mirror imaging provides a familiar point of reference. Set the camera for constant use or just for backing up purposes. Many automobile accidents are entirely preventable, but unfortunately, once they happen it is too late. Taking steps to make your vehicle safer will make you a more responsible driver and help you avoid needless problems. One of the easiest and most effective ways to make your daily commute much safer is to install a wireless license plate camera. This will eliminate blind spots, which account for over 840,000 automobile accidents annually in the United States alone. 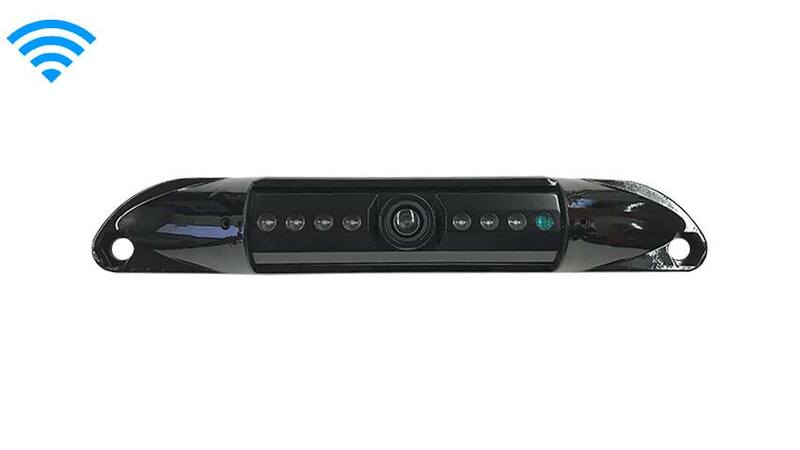 Get a wireless license plate camera from TadiBrothers today. This wireless front camera for a license plate has a 70ft range that can go through any vehicle.